Sodium aluminum silicate is one of the hundreds of food additives that manufacturers use to improve certain qualities of their product to appeal to consumers. An additive has no nutritional value of its own, but may improve other aspects of food, such as color, flavor, texture or shelf life. Sodium aluminum silicate is widely used in food as an anticaking agent. Sodium aluminum silicate occurs naturally as an acid salt combination of silicon, sodium, aluminum and oxygen. For use in foods, it is produced synthetically in a variety of chemical compositions to suit different applications. It usually consists of colorless, odorless crystals with the labeling standard food additive code number E554. This code indicates that it is generally recognized as safe in foods but limited in standardized foods, according to the Food and Drug Administration. Many other anticaking agents exist and are designated within the food additive code range E530 to E578. As an anticaking agent, sodium aluminum silicate helps prevent dry foods from clumping, forming semi-solid or solid lumps. Processing of foods often includes mixing dry powders together. Anticaking agents absorb excess moisture and may also coat particles to make them water repellent. This reduces the formation of clumps or lumps by ensuring that all dry ingredients mix together uniformly. The free-flowing food product then better survives packaging, transport and shelf life until you purchase and consume it. You often encounter sodium aluminum silicate in dried or powdered milk substitutes, sugar products, dried whole eggs and dried egg yolks, grated cheese and flours. Look for it on the label of powdered or granulated foods in general. 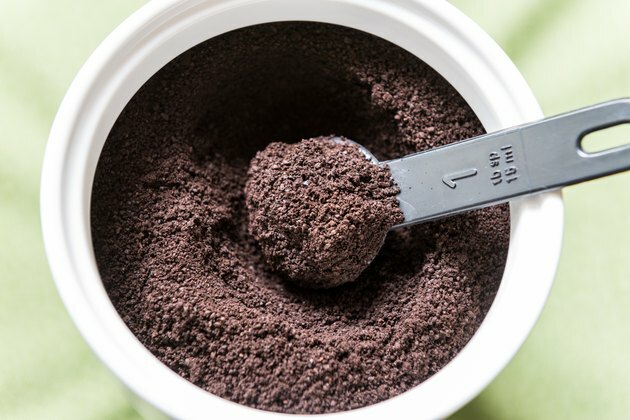 For instance, you may find it in coffee, cocoa or soup powders in vending machines, baking powder, cake mixes, instant soup powders and chocolate beverage powders. Although considered useful and safe in small quantities, food additives may cause adverse reactions in some people. The GRAS/FS designation of sodium aluminum silicate indicates that it is generally recognized as safe in foods, but limited in certain standardized foods. It is restricted to less than 2 percent in dried whole eggs and egg yolks and grated cheese, according to the FDA. The list of GRAS additives, generally recognized as safe, contains more than 600 ingredients and is regularly reviewed as technology advances and new research becomes available. If you are sensitive to sodium aluminum silicate or choose to avoid consumption of aluminum for other reasons, examine food labels for its other names. It may be called aluminum sodium salt, sodium silicoaluminate, aluminum sodium silicate or sodium salt.